The Oheo Gulch, part of Haleakala National Park, is located about 15 minutes past Hana town, near mile marker 42 on the Hana Highway (Road to Hana) after it turns into Hwy. 31. In 1969, the land where the Oheo Gulch is situated (formally known as Kipahulu coastal area) was donated to the Haleakala National Park system so that the pools would forever be open to the public. Today, the Oheo Gulch is known by many names. Some call it the Kipahulu Area, while others call it the location of the Seven Sacred Pools. However, there are far more than just seven pools, so the name is quite inaccurate. The moniker originates from a 1940’s publicity campaign and remains to this day. There are actually dozens of pools and a multitude of waterfalls which flow through the Oheo Gulch into the ocean nearby. This is one of the best spots to visit on Maui and is well worth a few hours of your time. Exploring Haleakala National Park and the Oheo Gulch is easy- thanks to our selection of handpicked tours and activities. See the sights in comfort and style and let someone else do the driving. Or lace up your boots and have an up-close-and-personal Seven Sacred Pools hike you’ll never forget. If you want a really unique vantage point, soar over Haleakala and the Kipahulu region on your very own private helicopter tour- simply unforgettable. Book your Oheo Gulch area tours today, as they tend to fill up quickly! After crossing the bridge over the stream, the parking lot is located makai (towards the sea). As of August 2017, the fee per vehicle for park access is $25 and is valid for this part of Haleakala National Park, as well as the road that leads to the summit of Haleakala. The pass is valid for three days. However, we recommend you view the official NPS fees page for up-to-date information on fees, possible closures, and other important information. Starting some two miles inland, the Palikea and Pipiwai Streams are the source of water for all of the falls in this area. These streams join together inland to form a string of pools along the Oheo Gulch. The nicest and easiest-to-reach pools are located near the shoreline right beyond the Park Ranger's building. There are a variety of hikes in this area. Many are known as the Kipahulu Area Trails. Two of the most popular are the Kuloa Point Trail, which leads down to the ocean for a great view of the pools themselves, and the Kahakai Trail, which stretches one-quarter mile between Kuloa Point and the Kipahulu campground. However, the most popular is the Pipiwai Trail. Located above the Gulch, it is one of the best hikes on Maui. It is 4 miles round trip, gaining 650 ft. in elevation. It takes 2 1/2 - 5 hours to hike, depending on how much nature loving you do. There are several great waterfalls along the route with the final destination fall being Waimoku Falls, which tumbles 400 ft. down a sheer lava rock wall. This is absolutely beautiful and more than well worth the hike. And while we have been getting to and from the Oheo Gulch on our own for years, we understand getting here on your own can be a lot of work; so if you just want to sit back, relax, and see the sights without all the hassle, we recommend booking what we think is the best Hana Highway Tour with our friends at Valley Isle Excursions. Their expert local guides are the best in the industry and their passion for what they do shines through. Plus, you’ll hit all the best Road to Hana stops; including the Oheo Gulch, of course. They keep tour groups very small, their luxury custom cruisers cater to your comfort and optimal viewing, and they’ll even pick you up at your hotel. And you can feel good about booking with them, as they are the first Hawaii-based tour company to complete the Hawaii Green Business Program. Their commitment to their guests and the environment is a cut above the other tour companies. Oheo Gulch Kipahulu is simply a lovely area to visit. No matter how you get there, just get out and enjoy it! 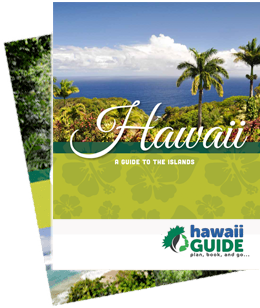 In this section you’ll find practically everything you need to know about exploring the Oheo Gulch, hiking Maui’s amazing trails, the best sights along the Road to Hana, the magical bamboo forest, and lots of insider information on the incredible Valley Isle.